On our website you can find a wide range of properties for sale and for rent. We offer new builds, resales and long or short term rentals. Houses, apartments, villas, bungalows, country houses, plots, garages, investments... All the types of properties that you need to live at the Costa Blanca, you will find them on our Spanish real estate portal. At Casa Casa Costa Blanca we cover the entire coast of the province of Alicante, being specialists in the areas of Dénia, Calpe, Jávea, Moraira, Torrevieja and Benidorm. We publish real estate from all over the Costa Blanca offered by local brokers. With more than 300 days of sunshine a year, the Costa Blanca is the perfect place to enjoy beautiful beaches, green mountains and authentic villages. This region has been recognised by the World Health Organisation as one of the healthiest areas in the world. On our Spanish property portal you can find a property to relax and enjoy the Mediterranean climate. 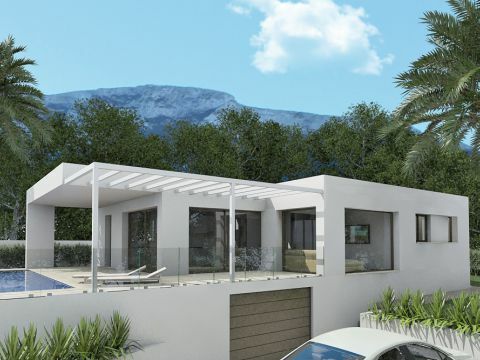 Combined with the best qualities of the Costa Blanca it will be the perfect (second) home for you. Investing in a villa, apartment, finca or house at the Costa Blanca is not only an investment in your health and future but also in yourself! The search for your home at the Costa Blanca begins here, on the Casa Casa Costa Blanca real estate portal!